It’s Time to Stop Worrying About How to Format a Screenplay the “Right” Way and Focus Instead On What Really Matters: Your STORY. Are You Bamboozled By All the “Rules” Surrounding Screenplay Format? Here at Script Reader Pro, we get tons of questions on how to format a screenplay, which is mainly due to a lack of solid, consistent information out there on the subject. » Reason #1: There is no codified “correct” way of formatting a spec script. There’s no weighty tome entitled “The Golden Rules of Screenwriting Formatting For The Spec Market” that’s been around since the dawn of Hollywood. » Reason #3. No one seems to be able to agree on what “industry standard” really means. Take the issue of how to format an unseen characters’ dialogue on the other end of a phone line. Some say you should label it as VOICE OVER. Others insist it should be OFF-SCREEN. Which is it? When screenwriting books contradict each other and readers at companies all have individual pet peeves, it’s no wonder aspiring writers struggle. Unfortunately, a script format like this just screams “amateur writer” to anyone reading the screenplay which, of course, is what you want to avoid. 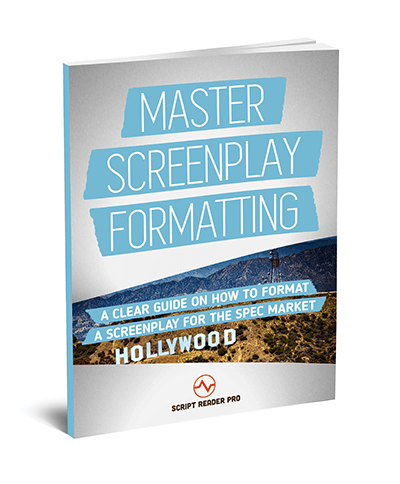 This is where our book Master Screenplay Formatting: A Clear Guide On How To Format a Script For the Spec Market comes in, as it’s aim is to solve these and many other issues faced by aspiring screenwriters surrounding screenplay format. Discover the most common formatting irregularities we see in spec scripts every day when it comes to sluglines, description and dialogue, AND learn what to do instead. 1. Choices not rules. How you format a screenplay is often a matter of personal taste. Therefore, rather than explain things in terms of rules, or “right” and “wrong,” we focus instead on choices. 2. It’s all about the read. Some formatting choices hinder the read, slowing it down and causing irritation and/or confusion. Others aide it by keeping things clear, concise and consistent. This book will make sure all your future formatting choices will fall into the latter camp. 3. Examples galore. Rather than simply list what you “should” do for any given area of formatting, the book gives examples of less desirable formatting choices, followed by better ones. And the reasons why. 4. 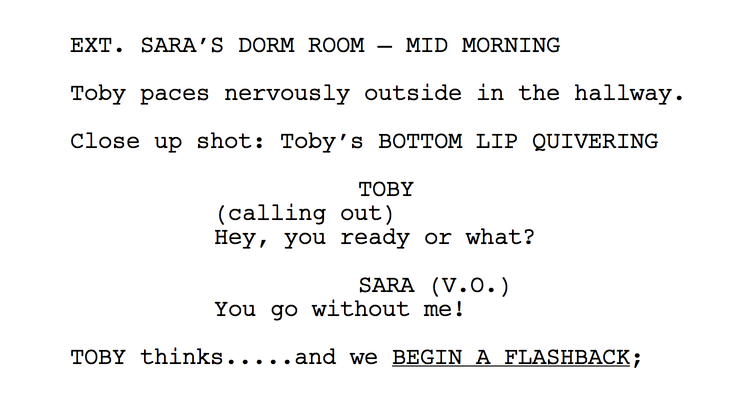 It’s a cliche, but you really do only have one shot when it comes to making a first impression with your screenplay. Learn how to present your script in a professional manner and the reader will feel they’re in the hands of a professional when it comes to story and character too. Check out our About Us page for more info but, in a nutshell, after much trial and (even more) error, we’ve “made it” as pro screenwriters and now we’re here to help you do the same. And that means helping you master screenplay format so you can focus on what really matters: your characters and story! Our core mission is to take the mystery out of screenwriting theory and the waffle out of screenwriting advice. We value things like practical exercises and clear, no BS language to help aspiring writers achieve their dream of turning pro and live the life they’re meant to live. » Part 1: The Nuts & Bolts. 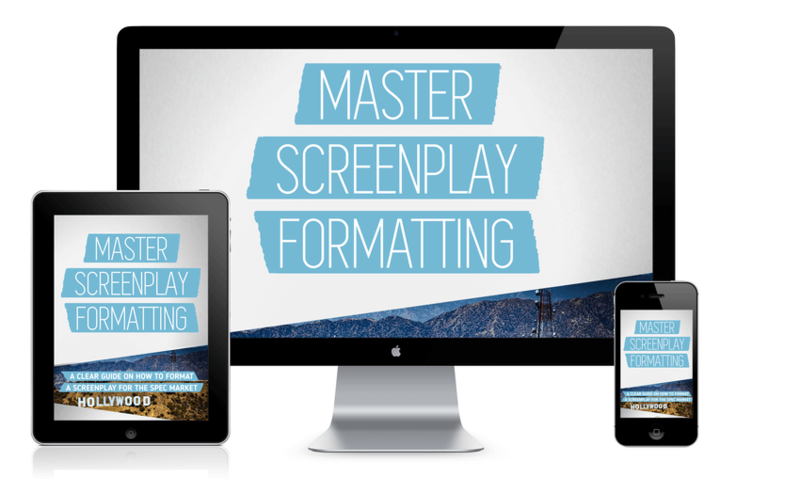 Master the overall basics of screenplay formatting, including the title page, spec screenplay format vs. pro screenplay format, the importance of software and some tell-tale amateur mistakes to avoid before page one. » Part 2: Sluglines. Get a handle on sluglines as we break them down into their four main components—interior/exterior, location, time, special information—and discover the biggest “errors” we see aspiring writers make again and again. » Part 3: Description. As with sluglines, we break description down into three parts: action lines, camera angles and transitions. Again, using examples, we lay out the very best and worst ways to format each. » Part 4: Dialogue. We analyze three areas—character names, actor directions and the actual dialogue itself—indicating what to avoid, along with rock-solid suggestions as to what to do instead. » Part 5: Moving Forward. Finally, we end with some resources, recommended further reading and tips to keep improving your screenplay format. We also talk a little about how a fear of writing itself may be a part of your current formatting issues. 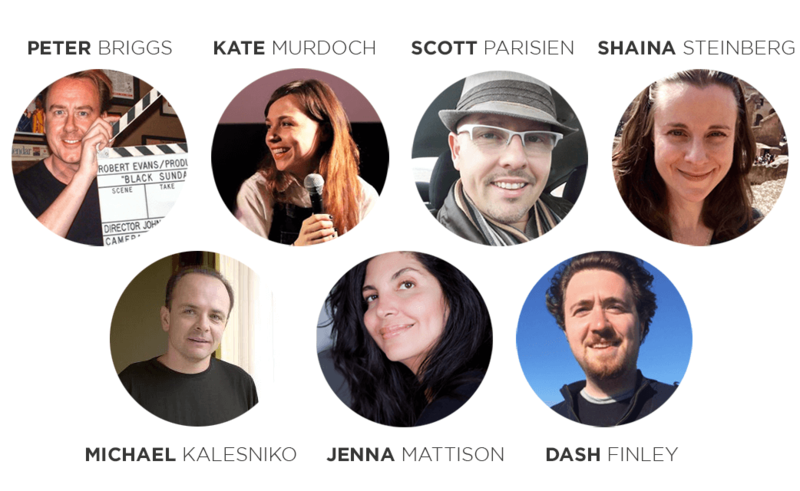 Is It Worth $29 To Make Sure You’re Not Ruining Your Script’s Chances? We created this book because we believe that screenplay formatting shouldn’t be as contradictory and confusing as it can appear. Writing is your passion and your future and so it’s important to learn from writers who’ve gone before you, use their expertize and follow in their footsteps in order to get where you want to be. Simply put, we believe in what we created with Master Screenplay Formatting. We know the material in this book works because we’ve used it to skyrocket our own screenwriting careers and go from aspiring to pro writers. BUT… if you learn the techniques in the book and find for any reason they don’t improve your screenplay format, we’ll give you 100% of your money back. You deserve to try this stuff without taking the risk, so just email us and we’ll make sure you get a FULL REFUND. No questions asked. You’ll find the answer to some of the most frequently asked questions about screenplay format below, but if you don’t find the answer you’re looking for, feel free to contact us. Q1. Does this book cover EVERYTHING when it comes to screenplay format? No, it does not attempt to answer everything under the sun regarding how to format a screenplay. There’s no section, for example, on how to format a FLASHBACK phone conversation INTERCUT with a DREAM SEQUENCE fight scene on top of a moving train. Shot in BLACK & WHITE, with text scrolling up the screen. What it does do, however, is clear up the majority of formatting quirks and anomalies we see in spec scripts that often end up working against the read. Q2. Can I ask you guys formatting questions that aren’t answered in the book? Yes. Simply head on over to our blog post How to Format a Script for the Spec Market and leave your questions in the comments section. We monitor them daily and will reply to each and every one of your screenplay format queries. Q3. Do I really need to buy a book on screenplay format? I mean, it’s all about the story, right? True, but why give any reader the impression you don’t know how to format a screenplay or can’t be bothered to learn? Strange, quirky and inconsistent formatting choices do two things: distract and annoy the reader. So it’s important to make better ones that’ll help prevent this. Q4. How am I supposed to get screenplay format right when it depends on the individual tastes of the reader or studio? Sending a spec script out into the industry is pretty much a crapshoot when it comes to the formatting preferences and the pet peeves of any given reader. There’s not much you can do about individual whims. But there’s a lot you can do to reduce the risk of annoying them, which is what this book shows you how to do. Q5. Is the book available as a paperback? No, but if you purchase you’ll be taken to a secure site where you can download a digital copy of the book as a PDF for use on computers and laptops. Q6. Can I get a refund if it doesn’t help me? Sure thing. If by the end of the book you’re still none the wiser on how to format a screenplay, or if it just isn’t for you, we’ll give you a full refund right away. No questions asked. The book comes as a PDF file only. 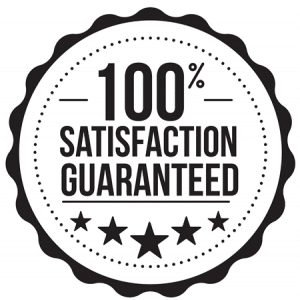 You will be taken to a 100% secure download area where you can pay quickly and easily by credit card, Apple Pay or PayPal and have our screenplay format book on your computer, laptop, tablet or cell phone in under a minute. If you have a query not answered above, we have a dedicated knowledge base where you’ll find the answers to even more questions. We hope to work with you soon!